The Girl Blue Project is committed to awakening the truest potential in young women by empowering them to embrace who they are and giving them the tools to create whom they choose to be. 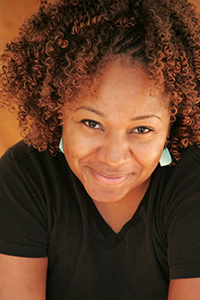 After volunteering in the Los Angeles Unified School District, playwright Marlow Wyatt realized that a basic education was not enough to combat the images of overly sexualized girls, violence, drug use, discrimination, poverty, sexual and physical abuse and countless debasing conduct glorified in our society. In 2003, with the help of friends and fellow artists, she founded The Girl Blue Project to re-educate, motivate and empower teen girls in Los Angeles County. Taking in all that she had observed as a teaching volunteer, Marlow designed an innovative, 6 week summer intensive that focused on the social and emotional issues of teen girls and how those issues affect their ability to learn and lead productive and fulfilling lives. Over the years most of the girls we’ve served suffer from a perceived lack of opportunity and issues of abandonment. Most had unhealthy body images and felt they were only valued for their physical appearance or overt sexual behavior. Most came from low-income families or the foster care system but we have worked with girls from affluent neighborhoods, and even girls from New York and Chicago who spend their summers in Los Angeles. The issues our teen girls currently face are not confined to the inner-city but threaten all economic, social and religious backgrounds and sexual-orientations. At Girl Blue we address these challenges and more! The Girl Blue Project firmly believes in the use of the performing arts as an impactful teaching mechanism for youth and that all art disciplines are vital to our society as a whole. Therefore, our curriculum consists of classes in Self-Awareness, Yoga, Creative Writing, Dance, Voice, Acting, Women’s Health/HIV Education, Etiquette, Money Management and Life Skills. The Four Agreements by Don Miguel-Ruiz, Don’t Give It Away by Iyanla Vanzant and The Writings of Florence Scovel Shinn are used as our foundation of study and conduct. All classes are mandatory and structured to promote healthy self images and allow creative self-expression. Classes are taught by professionals in their field and are free of charge to all girls participating in the program. The Girl Blue Project accepts all teen girls, ages 13-17, who are able to fully participate in the program. The Girl Blue Project was founded upon the principle of collective responsibility. Since inception we have successfully operated on a grass roots level, solely supported by individual donations, performing artists, small businesses and committed volunteers. Each session ends with a live theatre performance developed to pay it forward to the next session of girls. Our summer intensive is 100% free. The decision to offer the program for free was made, because adults have used money or the lack of money as an excuse for a failed education system and untapped potential in young people for far too long and we continue to cast that mindset upon future generations. The Girl Blue Project can attest to the progress made when “a village” truly makes a commitment to put the needs of our youth first. It’s challenging, it’s life changing and it works!